Fingerboard signs at the intersection of Industry Rd (C814) & Trooper Track (C815). Source: Peter Renshaw, June 2007. 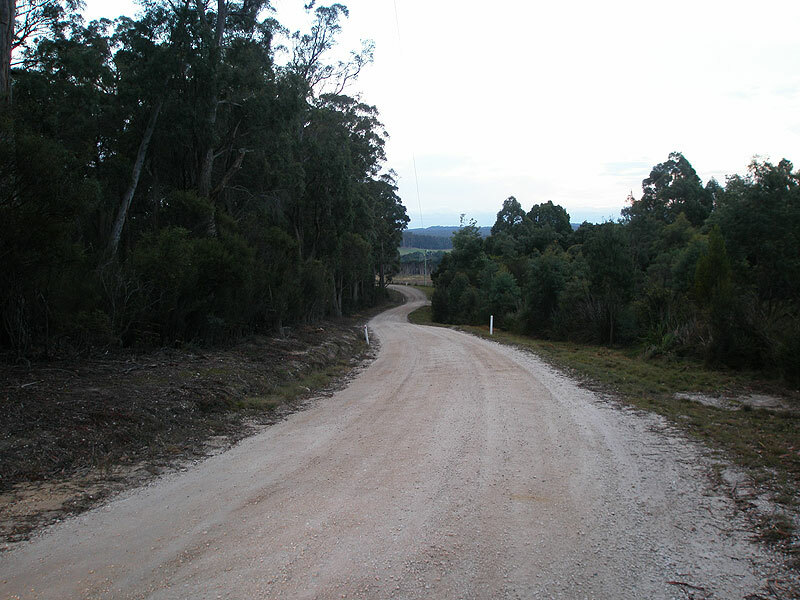 C815 is a short unsealed connector in northern Tasmania, linking Bridport Main Rd (B82) with Industry Rd (C814). It is currently only marked at the southern end, making it a one-hit wonder. Apart from connecting the dots, so to speak, it appears serve little purpose other than providing locals between Lefroy and Pipers River with a shorter route to Launceston via C814 and C809. 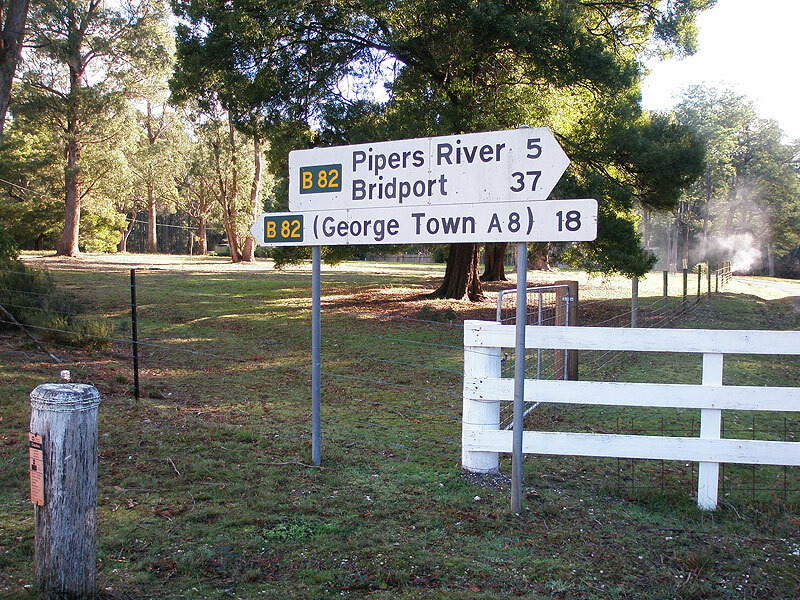 B82 fingerboard signs at the intersection of Bridport Main Rd (B82) & Trooper Track (C815), 5km west of Pipers River. There is no mention of C815 at this intersection. 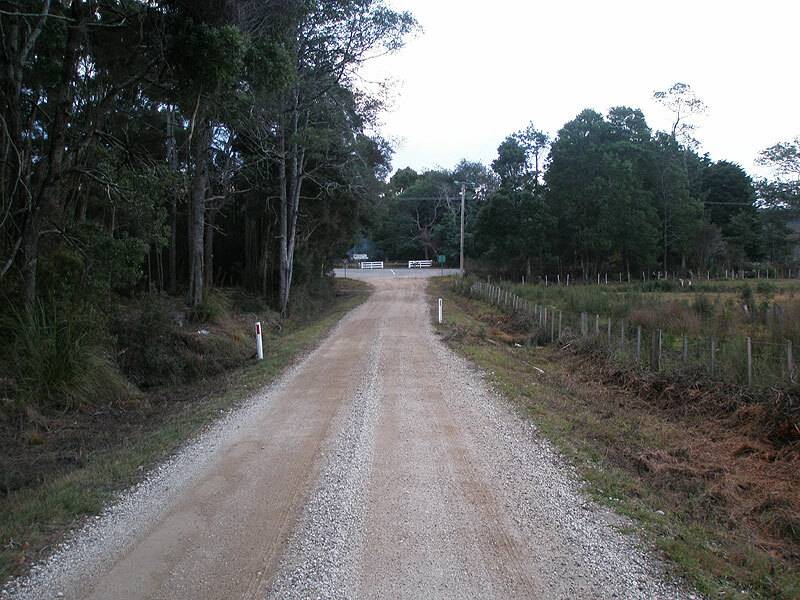 Trooper Track (C815) looking north to the intersection with Bridport Main Rd (B82). Trooper Track (C815) looking north about halfway between Bridport Main Rd (B82) and Industry Rd (C814). Heading north, the route is basically one narrow, long descent to the valley floor. 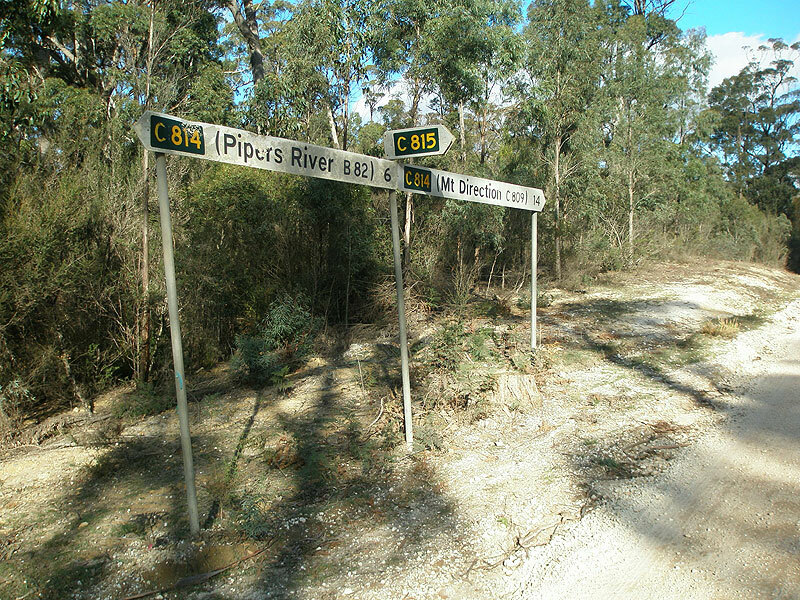 The lone C815 fingerboard at the intersection of Industry Rd (C814) & Trooper Track (C815), 6km south-west of Pipers River.